Candy didn't start out by saying hello. In fact, she felt she was saying goodby to everything; to the only home she'd ever know, to all her friends, and most of all, to Tom. For Candy the world had stopped turning and the bottom had dropped out of life. Here she was heading for Maine with Mom and Dad. They had often spent summers in Maine, but this was for keeps. Ever since Dad's accident, which confined him to a wheel chair, money had become a problem for the Andrews' family. They were trying to solve the problem by moving to the house they owned in a small Maine town. 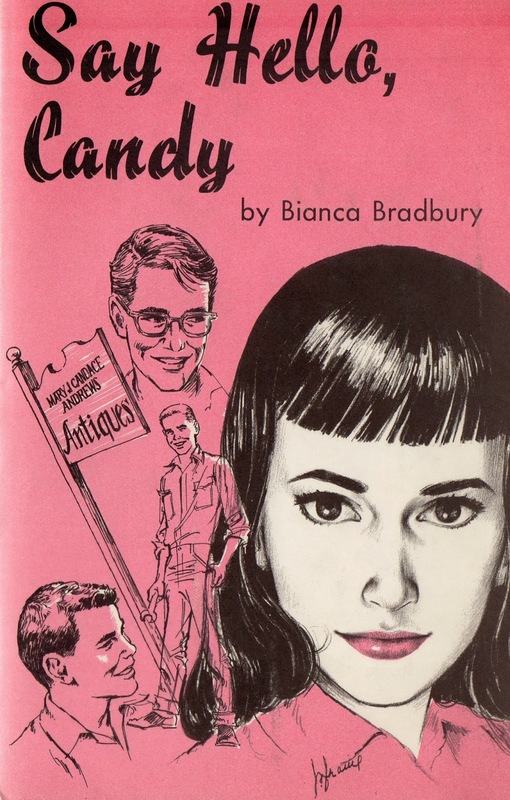 But loneliness can be deeply rooted in a teen-age girl, and Candy was not to be thawed by the friendliness and sympathy of a small town. She was there, all right, but she didn't have to like it!